New Jersey has 169 designated opportunity zones, all of which are low-income communities. New Jersey did not designate any eligible non-low-income contiguous tracts as opportunity zones. The entire state of New Jersey is classified by the Census Bureau as metropolitan. 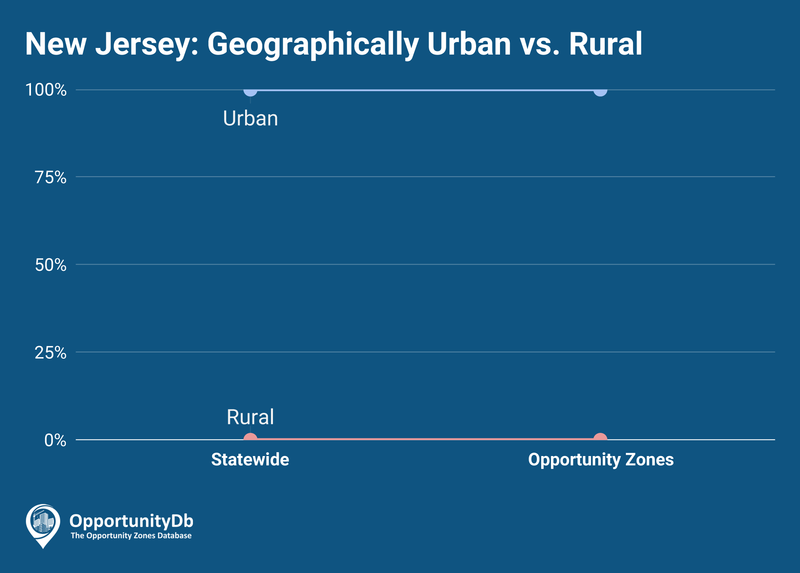 Therefore, 100 percent of New Jersey’s opportunity zones are deemed to be in urban areas, with none in rural areas. More than 30 of New Jersey’s 169 opportunity zones are clustered in and around the greater Newark/Jersey City area to the west/southwest of New York City.